A complaint from a resident prompted an investigation of the LifeLabs clinic in Fergus last November. What the inspector found, the medical officer of health for the area says, was that the clinic wasn’t following all the rules when it came to infection control protocols. “Once we were able to explain to them the importance of changing some of their practices, they were very co-operative,” Dr. Nicola Mercer of Wellington-Dufferin-Guelph Public Health said in an interview. The LifeLabs clinic in Fergus is seen on Monday, March 13, 2017. Specific issues found by the health inspector included that gloves were being reused and sometimes not removed at the proper times, and tourniquets and other items weren’t being properly cleaned. 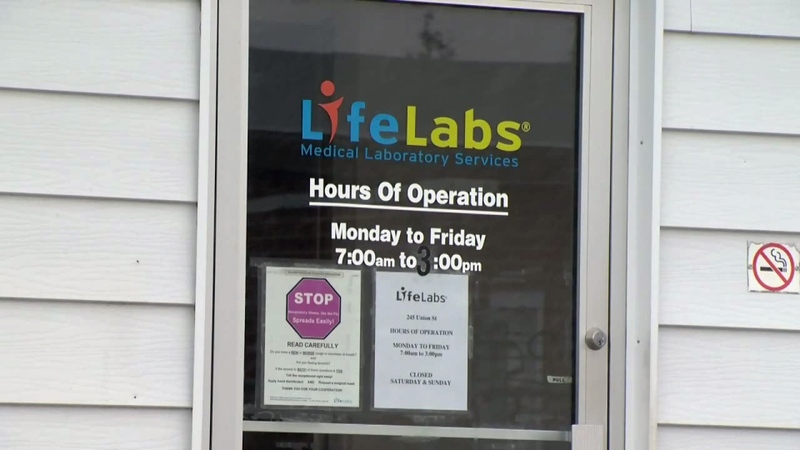 LifeLabs president Sue Paish says the health unit’s requirements were “over and above” what the medical testing centre operator is used to, but the company had no issues changing their practices. “We were more than happy to do that and work with them,” Paish said. According to Mercer, the infractions were not severe enough to put the public at risk and a follow-up inspection at the clinic found no issues. For about the past year, Wellington-Dufferin-Guelph has had the authority to inspect laboratories, doctor’s offices and dental practices on a complaint basis.